Take a new approach to success! Let words of wisdom from billionaires, entrepreneurs, and businesspeople motivate you and help you on your own path to success. 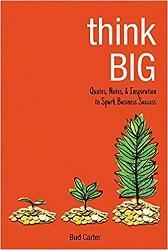 In this witty collection of business know-how, you will find quotations that reflect the full scope of business success.